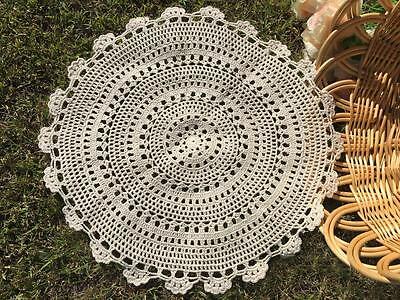 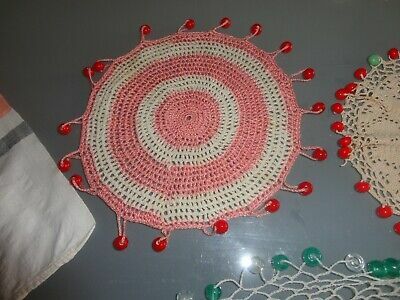 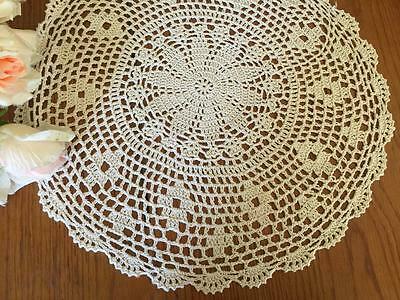 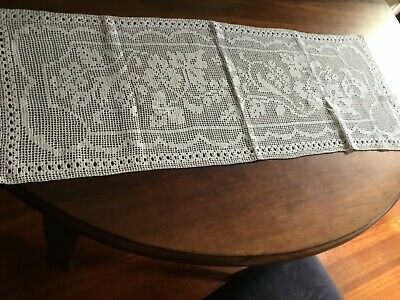 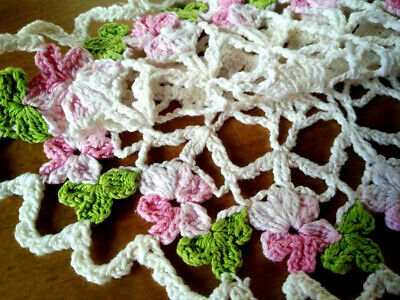 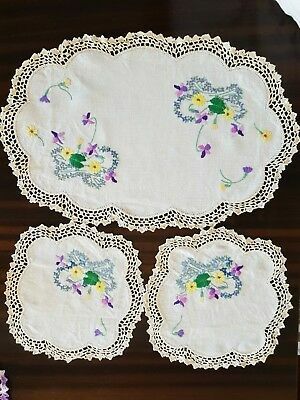 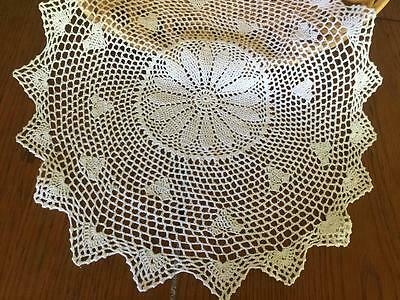 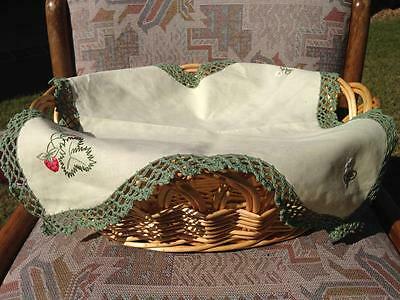 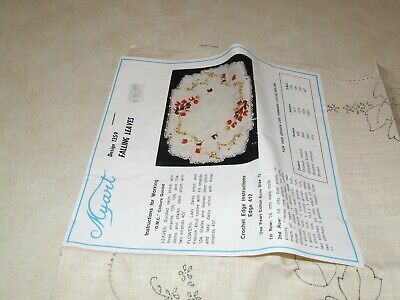 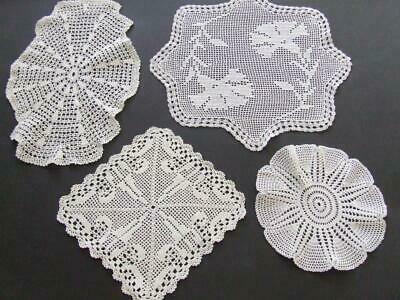 3 Vintage Hand embroidered Large Doilies With Crochet edging In Great Condition. 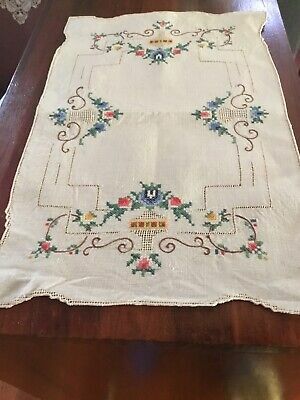 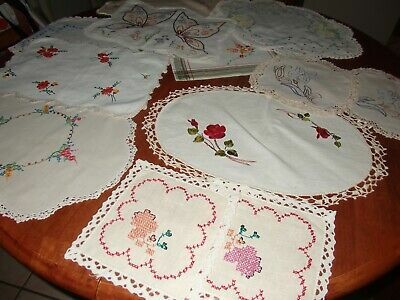 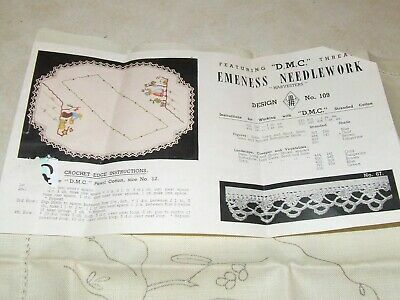 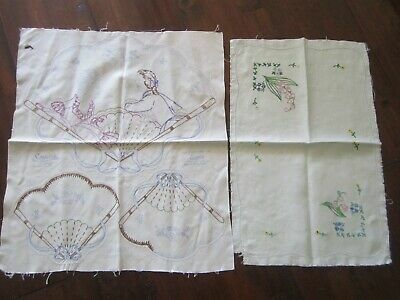 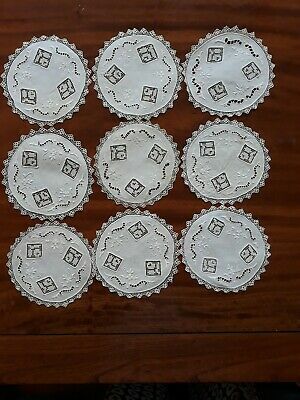 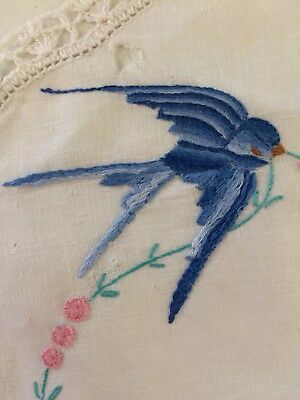 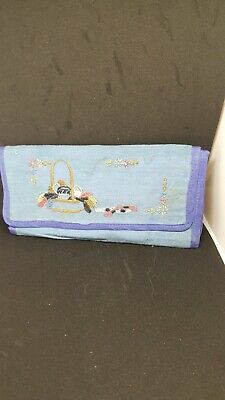 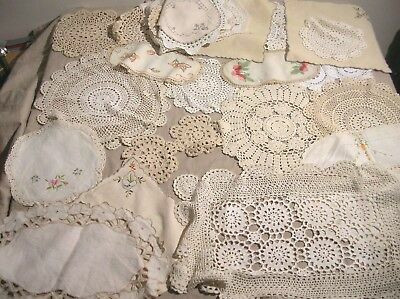 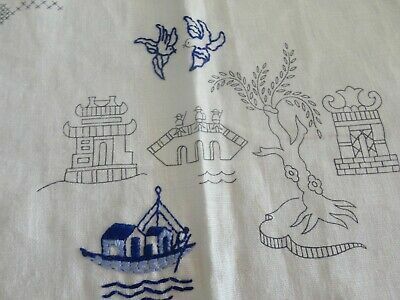 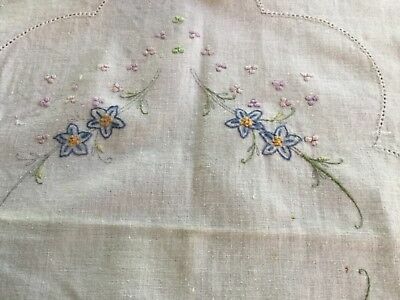 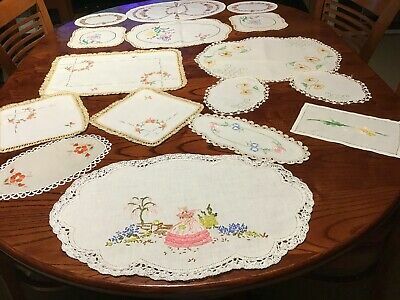 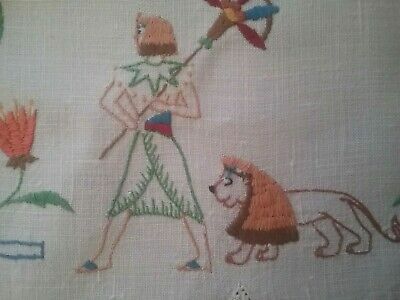 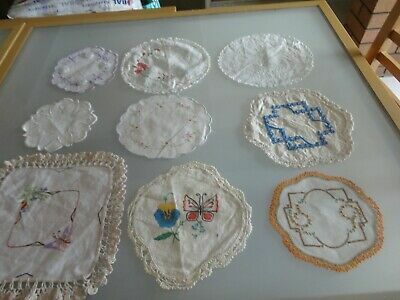 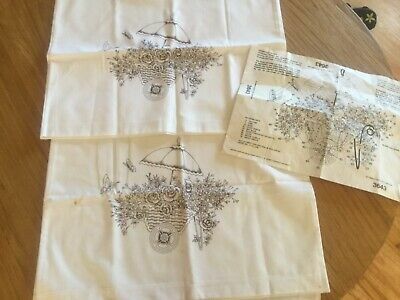 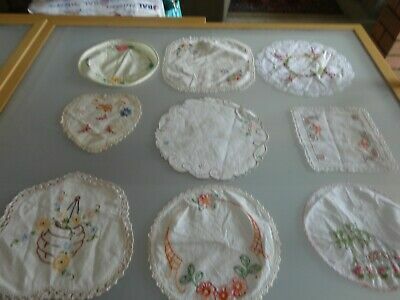 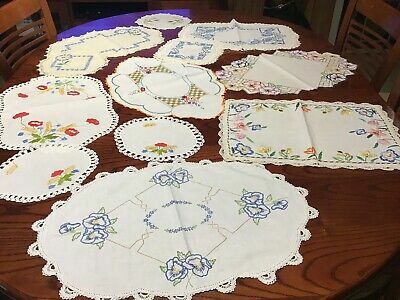 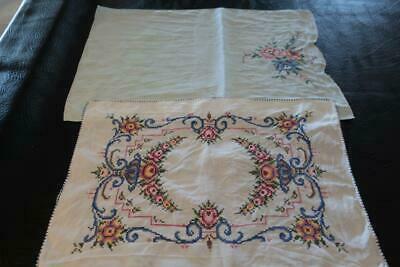 Vintage Embroidered Duchess Sets X 4 & 4 Doilies Total 16. 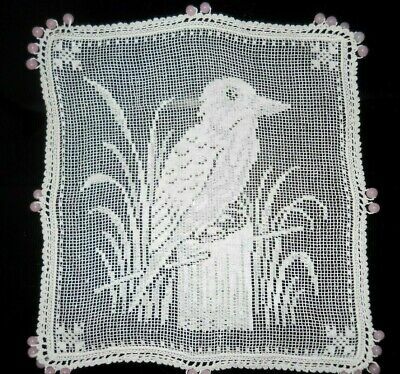 Vintage Australian Kookaburra Crochet Glass Beaded Milk Jug Cover. 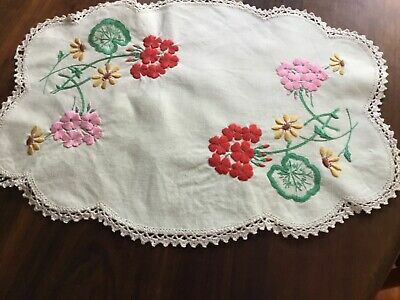 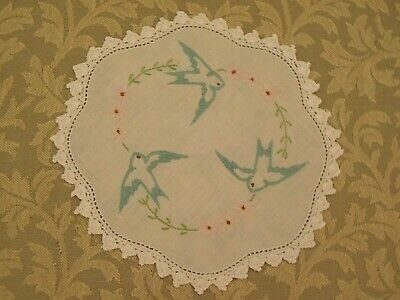 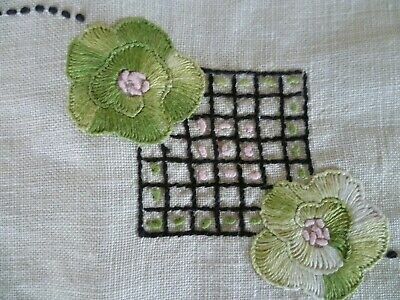 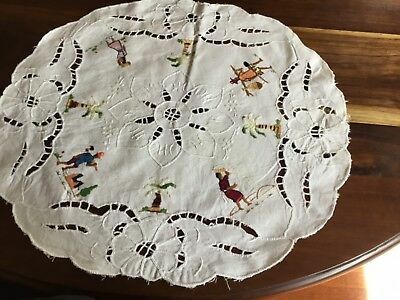 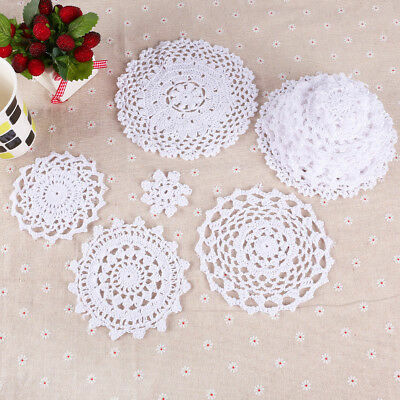 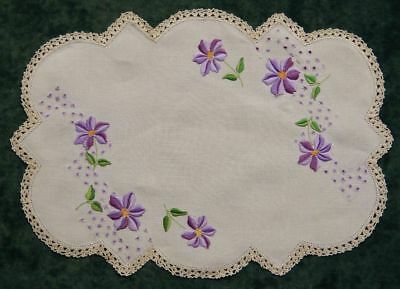 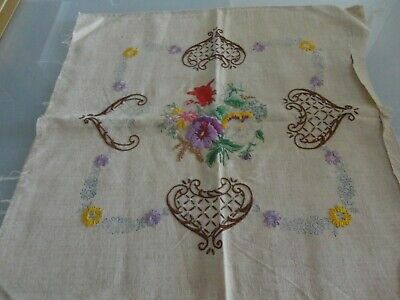 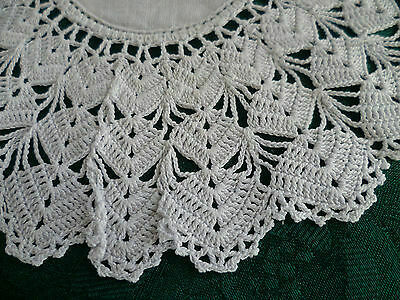 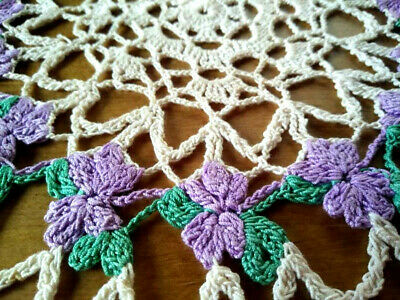 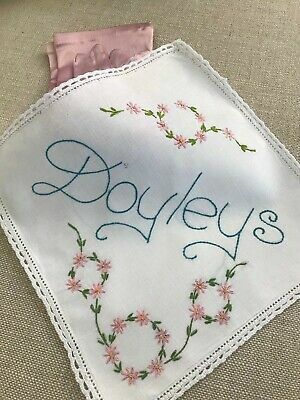 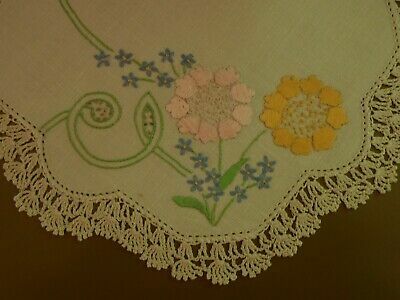 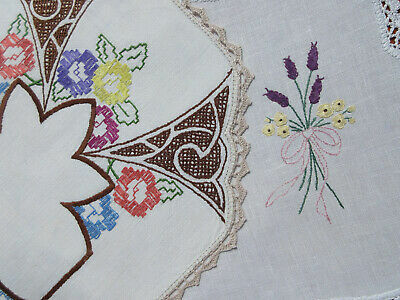 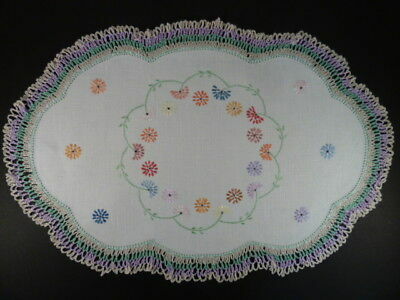 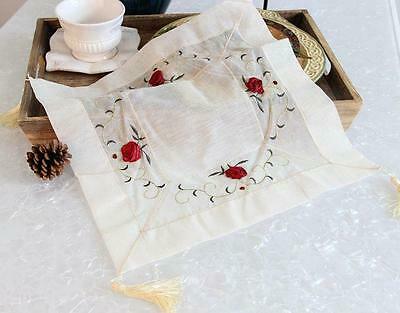 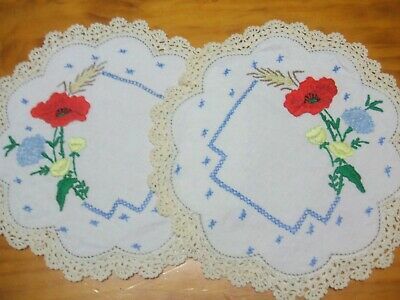 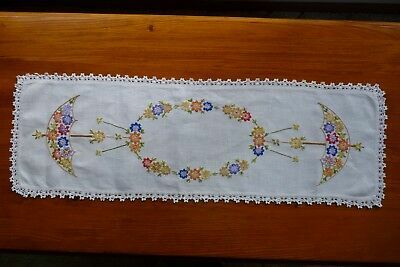 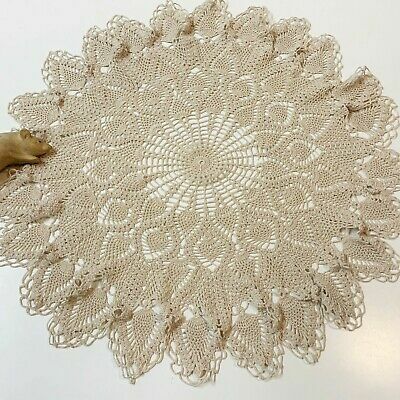 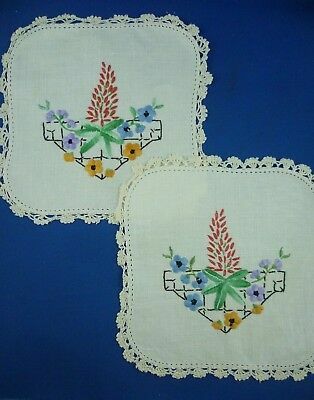 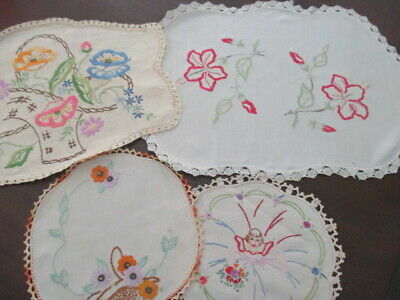 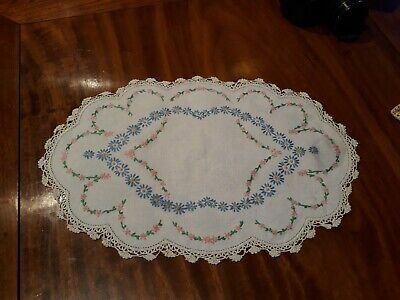 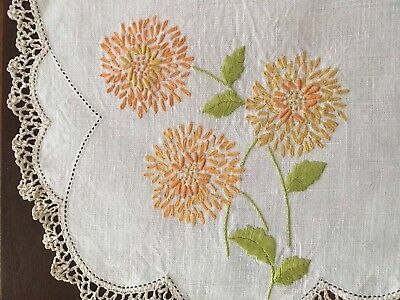 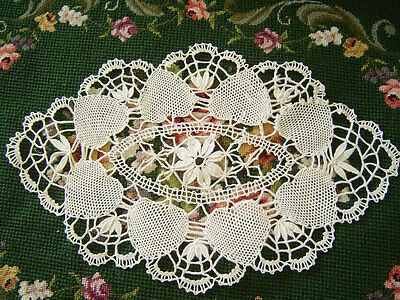 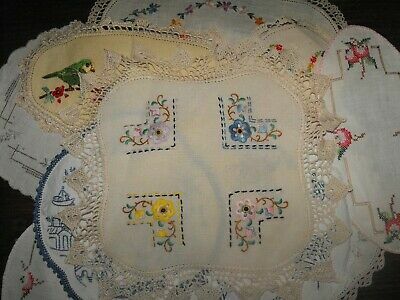 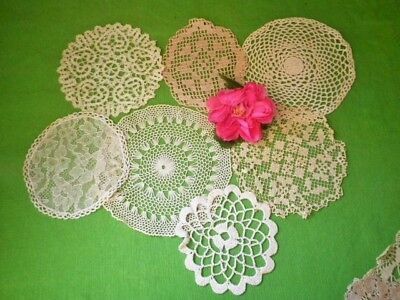 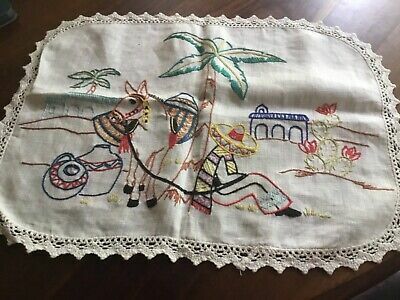 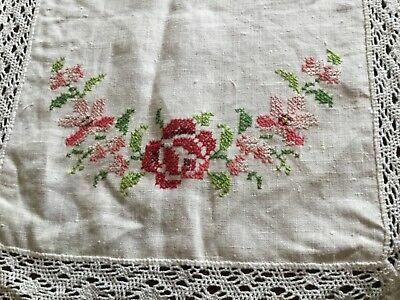 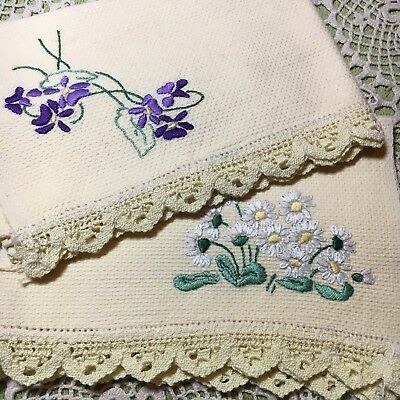 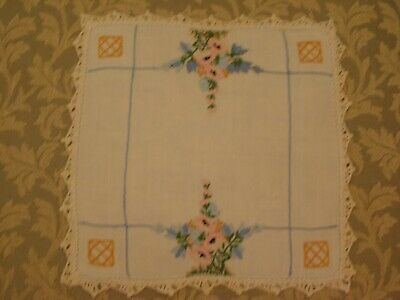 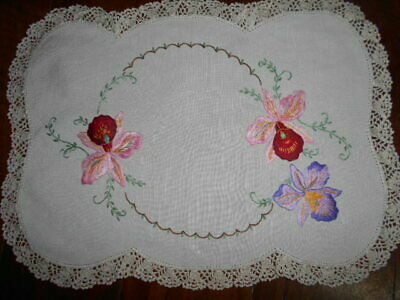 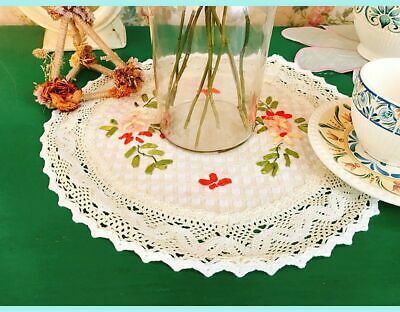 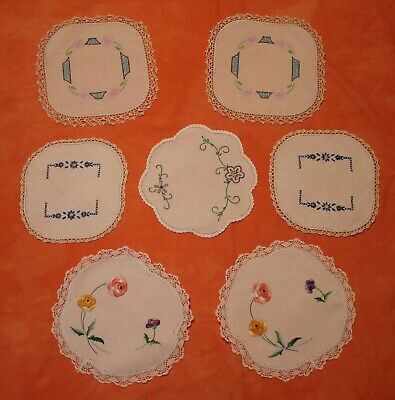 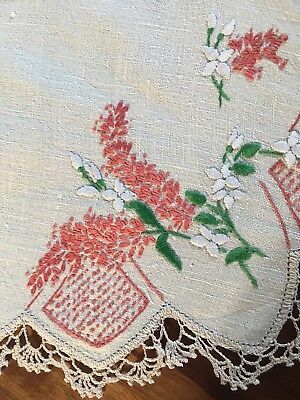 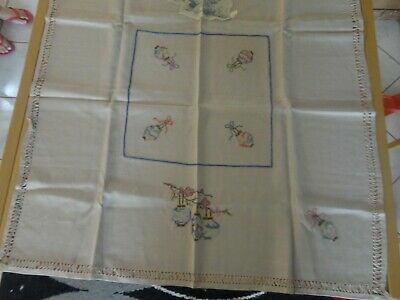 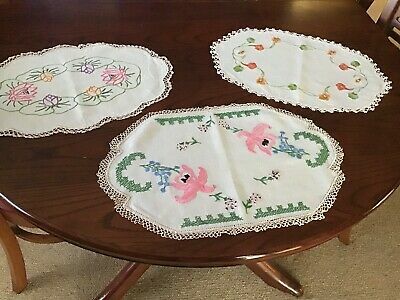 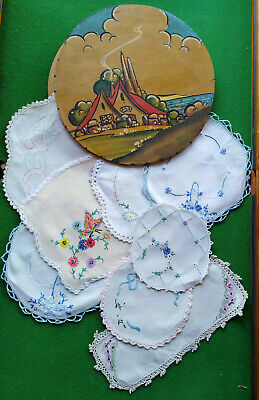 Vintage Retro Four Doilies Hand Embroidered. 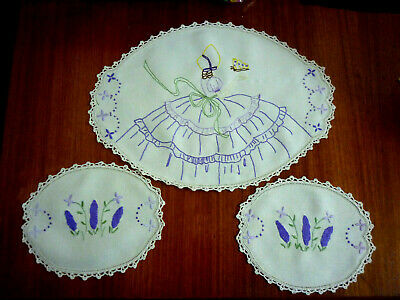 Floral, Crinoline Lady, Baskets. 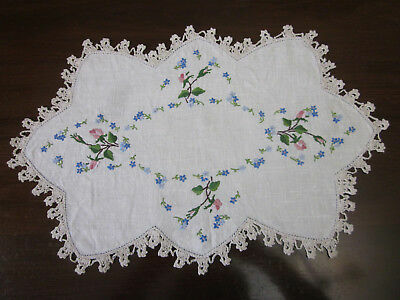 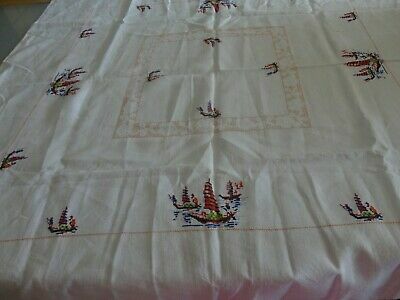 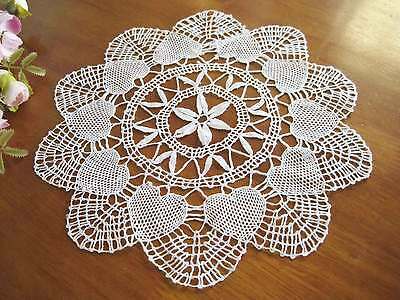 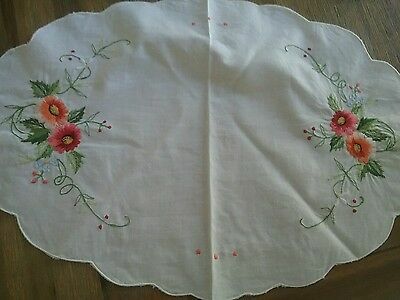 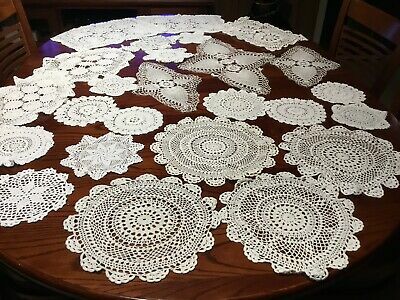 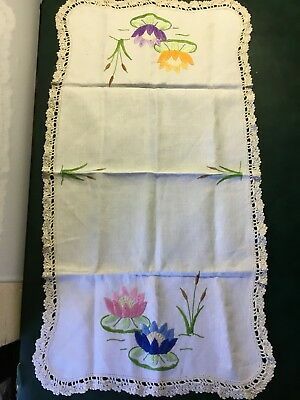 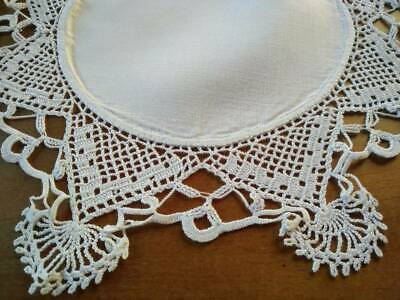 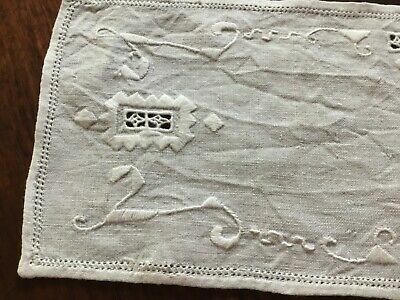 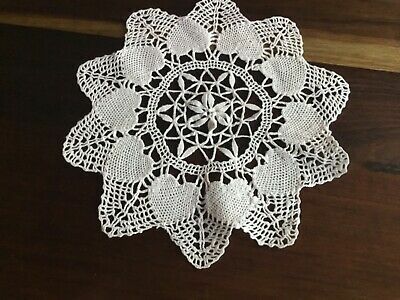 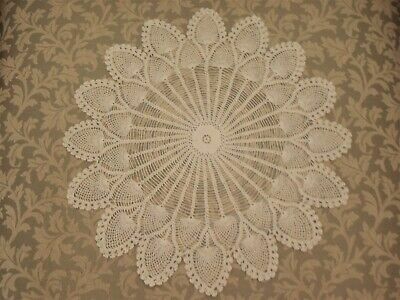 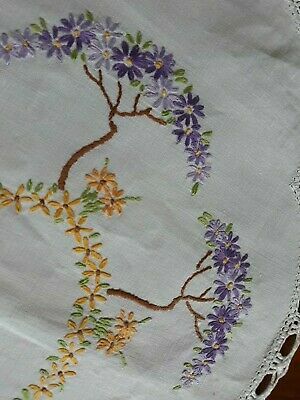 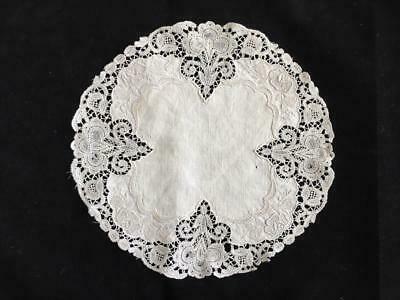 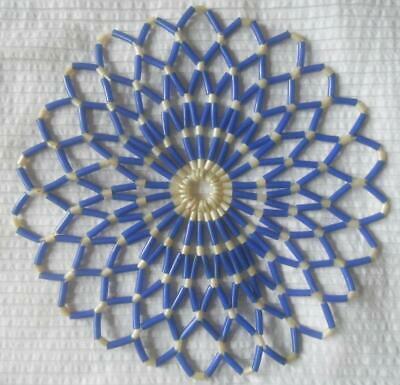 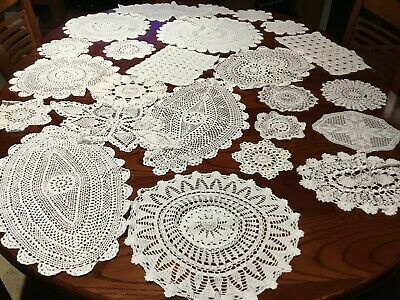 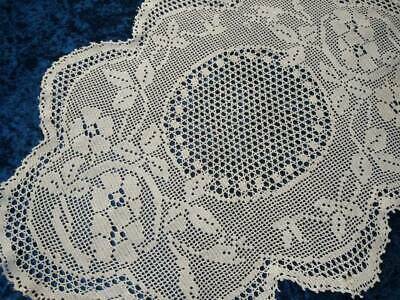 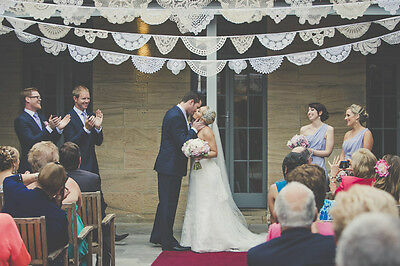 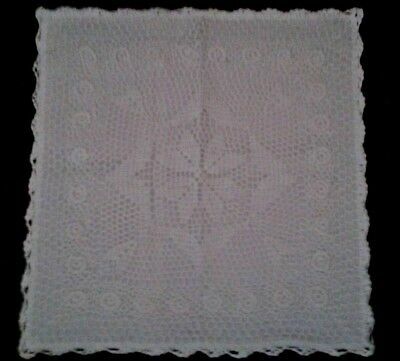 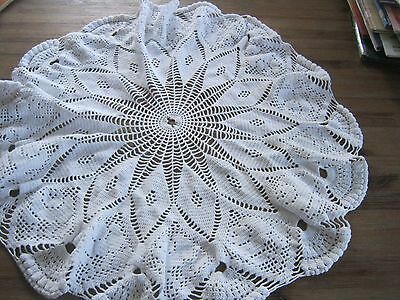 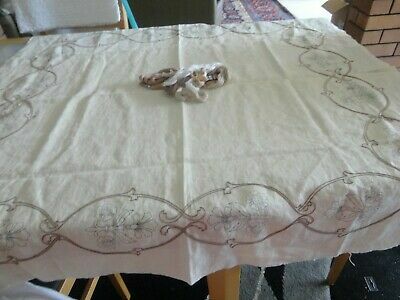 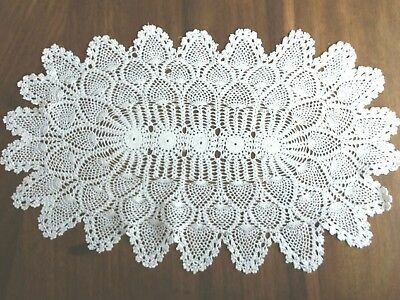 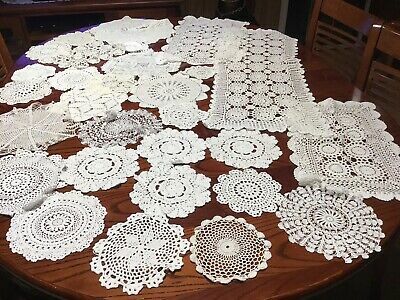 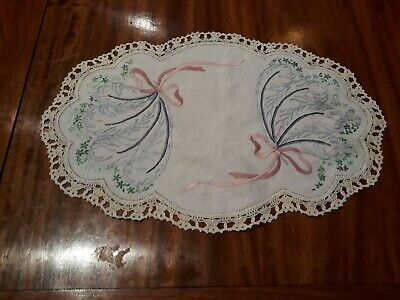 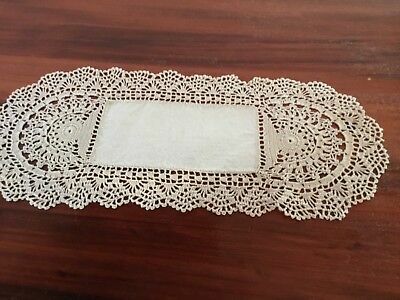 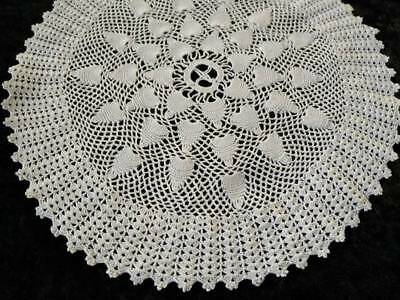 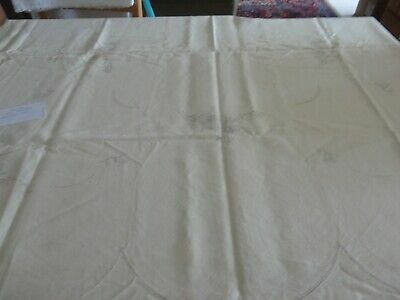 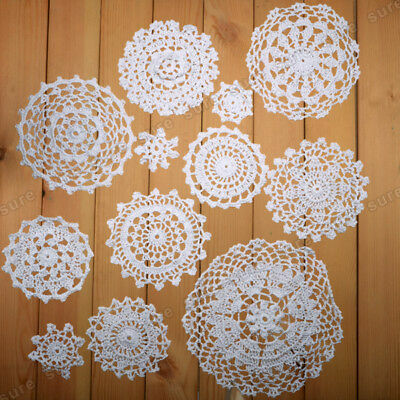 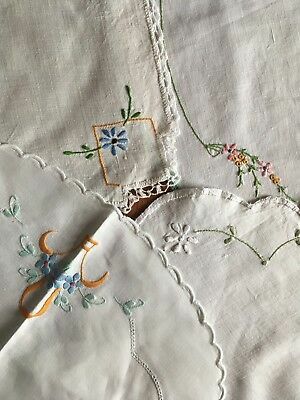 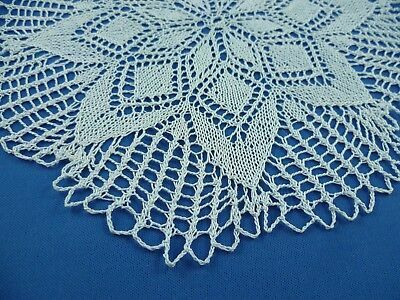 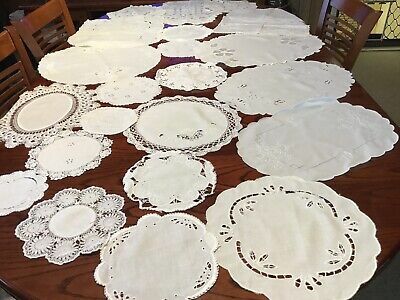 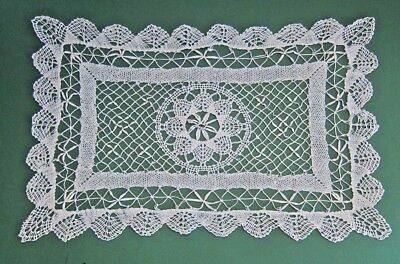 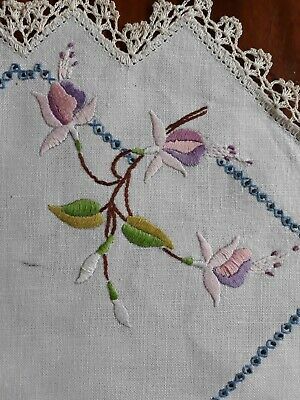 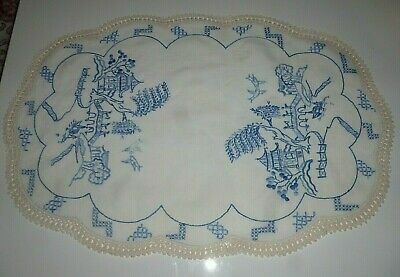 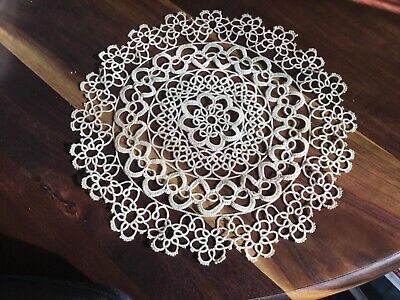 Vintage Embroidered White In White Doilies X 24.